A question I've been getting recently is how to improve web site traffic. There are a few techniques that I use on a regular basis to improve site traffic. These techniques have helped me to drive traffic to specific sites, promotions, or affiliate products that I've sold from time to time. Tip #1: Start to build a list. Whether you build a list by offering a free download on your website or by using inexpensive PPC advertising, having your own list allows you to encourage users to visit your site again and again. Over time, this can be one of your best traffic generators. Tip #2: Make it easy to bookmark your site. Include a bookmark button at the very top of your web page. Doing so gives individuals easy access to your site and the content that you offer. You want it to be easy to find your site whenever someone is seeking the information you provide. Tip #3: Include an RSS feed on your site. When individuals sign up for an RSS feed, they receive updates on a regular basis. This keeps your site and your information in front of them again and again. Don't underestimate the power of repetition. Tip #4: Offer original content on your site. Author original content and post it on your site. Doing so results in a higher ranking on search engine results. It also attracts new users to your web site. These tips seem pretty basic but they build upon one another. 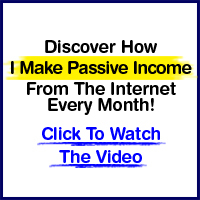 Over time you will attract a loyal following and more visitors. My main website now sees more than 100,000 visitors each month and it all started with orginal content that is easy to find, bookmark, and receive with an RSS feed. Great tips. Starting to build a list is tricky at first, but once it starts growing, the return is well worth it. Great info. I now realized that I was missing alot of major points. Building lists is definitely advanced. I'm actually not sure how to build them. Should I be collecting emails? I'm in the air conditioning and hvac business so most of our interaction is offline. Sound advice. You also need to find the most effective way to promote your original content. Social Media sites, PR sites, Industry blogs etc. The trick is to get people to your site. I thoroughly agree with you that you have to use multiple ways of generating traffic. I find that you can add posting comments to other complementary blogs such as I am doing here and also participating in forums or online groups in your niche while notating backlinks to your own site. This is very effective. your blog is very helpful for me.